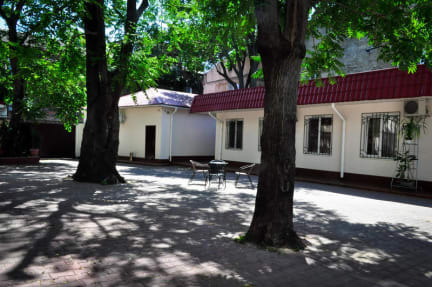 In Old Courtyard Hostel there are 3 Family Quadruple Rooms, as well as 4 common Eight-bedded rooms for men and women. Rooms here will provide you with air conditioning. You will find a 24-hour front desk at the property. The hostel features free WiFi throughout the property. Free washing machine and free hairdryer are on site. Each room has a toilet, wash basin and shower inside. In the shared kitchen you can use a refrigerator, microwave, electric kettle, stove, dishes. 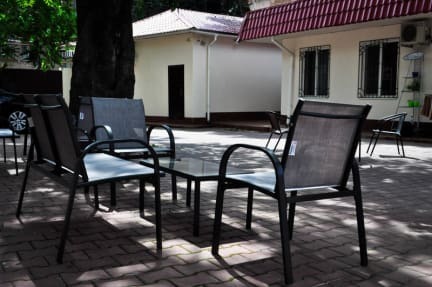 Old Courtyard Hostel is located 2.5 km from Odessa Theatre of Opera and Ballet and 2.5 km from Deribasovskaya street. Duke de Richelieu Monument is 2.8 km from 'Old courtyard', while Port of Odessa is 3,5 km away. The nearest airport is Odessa International Airport, 6 km from the property and the distance to Odessa Train Station is 0,5 km. Primorsky district is a great choice for travellers interested in architecture, food and restaurants. Various cafes can be found within a 5-minute walk of the hostel. The beach on the coast of the Black Sea is 2.5 km away.